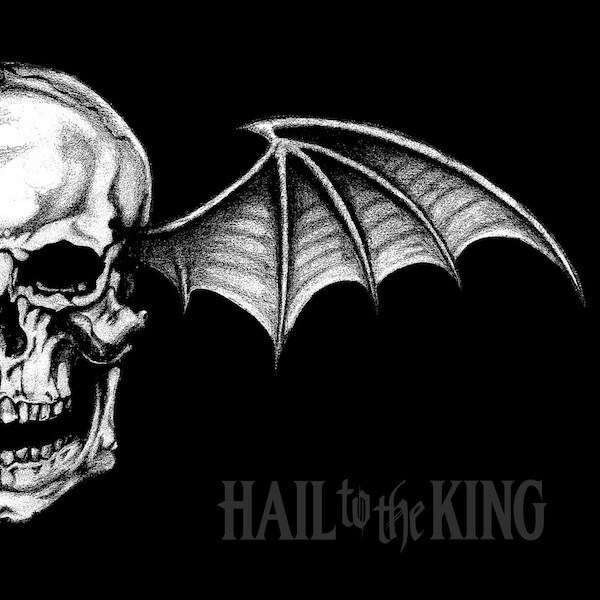 AVENGED SEVENFOLD's sixth album, "Hail To The King", sold 159,000 copies in the United States in its first week of release to debut at position No. 1 on The Billboard 200 chart. The record arrived in stores on August 27 via Warner Bros. The band's fifth album, "Nightmare", also landed at the top of the chart after selling 162,500 units back in August 2010. AVENGED SEVENFOLD's self-titled fourth album registered a first-week tally of 94,000 copies in November 2007, nearly three times what its 2005 effort, "City of Evil", sold in its biggest week on the chart. AVENGED SEVENFOLD singer M. Shadows said a few months back that the sound of the new CD was channeling earlier records from acts like PANTERA, METALLICA, BLACK SABBATH and others, and he told The Pulse Of Radio again just recently that the band was aiming for an older feel. "We said, 'Well, why don't we make a record that we would want to listen to today, that sounds like a late '90s or before record?'" he said. "And then we said production-wise we've got to make it sound like one of those records. We've got to have the big guitars, the huge drums that are over the top, and just like the punch that those records gave you. So what I would say is that this is a record in 2013 that reminds me of like an early '90s or before type metal record." "Hail To The King" is AVENGED SEVENFOLD's first full album written and recorded without drummer and charter member James "The Rev" Sullivan, who died in December 2009 during the early stages of writing for "Nightmare". 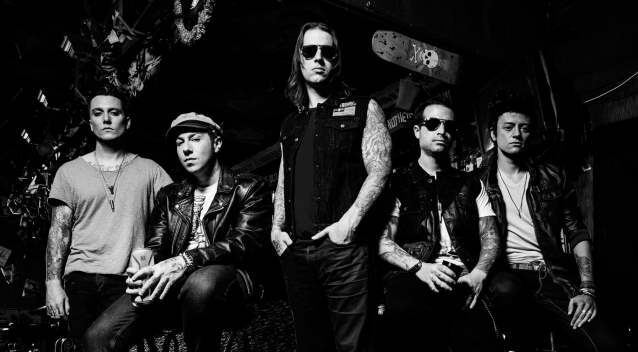 AVENGED SEVENFOLD's video for the song "Hail To The King" can be seen below. The clip was directed by Syndrome, an award-winning design and live-action directing studio.